CIES football observatory has released its list of best value football transfers of the 2018/19 window, with Cristiano Ronaldo making the top ten, as well as Liverpool new-boy Fabinho. Top of the list, however, is Real Madrid goalkeeper Thibaut Courtois, whom CIES state was signed from Chelsea for as much as €22million below his true market value. The Belgium international was heading into the final year of his contract at Stamford Bridge, which significantly weakened Chelsea’s negotiating position. 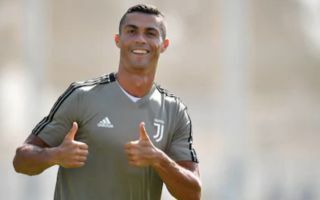 Remarkably, despite Ronaldo being 33 and costing €105m, the Portuguese has also been classed as arriving at Juventus on the cheap from Real Madrid, at around €11.5m below his market value. The former Manchester United forward hasn’t got off to the best of starts in Serie A, but he showed last season that he still looks some way from entering into his decline despite a long career performing at such a high level.